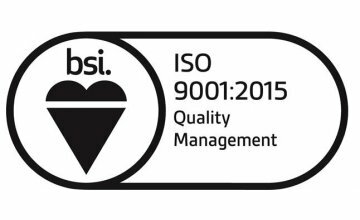 Johnson & Allen are recognised as a company which operates a Quality Management System conforming to BSI 9001:2015. This latest certification places an additional emphasis on leadership and accountability by encouraging employees to be more actively engaged with a company’s quality system. The manufacture of NDT consumables, such as dye penetrants and magnetic particle inspection products in aerosol and bulk form for the offshore, petrochemical, aerospace, automotive and general engineering industries. The design and manufacture of magnetic particle inspection bench units, dye penetrant lines, demagnetisers and multi-function inspection systems including drying ovens, storm cabinets and filtration units. The design and manufacture of associated NDT equipment and accessories. Quality Management system for the service and calibration of customers own NDT equipment.